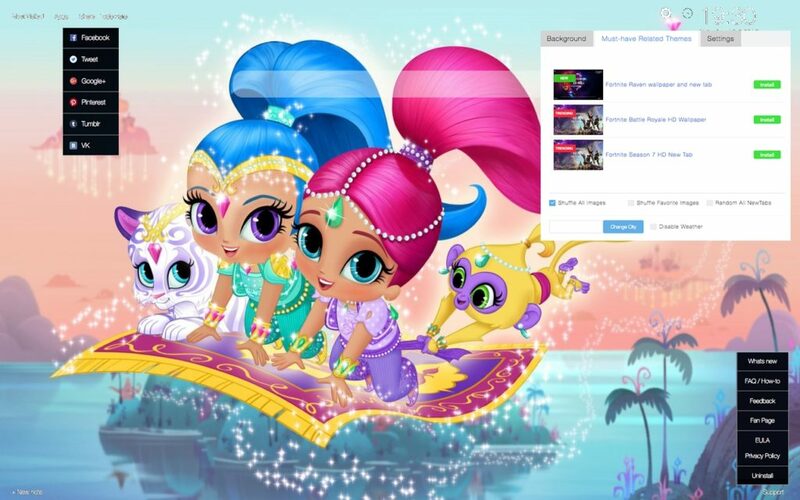 We present you our new Shimmer and Shine Wallpapers New Tab extension with random wallpapers of one of the most popular animated shows in the world. 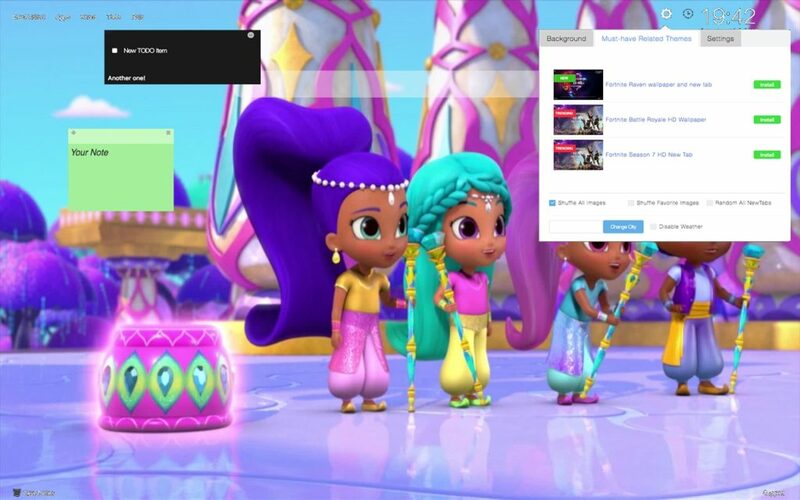 It offers different Shimmer and Shine backgrounds that will appear every time you open a new tab page. Therefore, forget about your boring new tab, and get this extension to make it more fun and exciting. Moreover, this extension provides many other useful features that will definitely improve your browsing experience. For all of you who don’t already know, Shimmer and Shine is a Canadian and American animated television series. 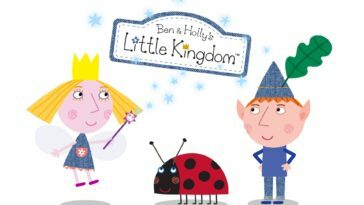 It was created by Farnaz Esnaashari-Charmatz and it airs in the United States on Nick Jr.,as well as in Canada on Treehouse. 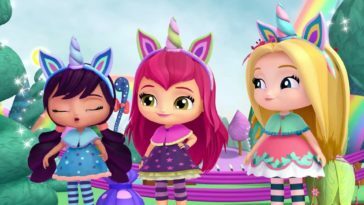 On 24th of August in 2015, Shimmer and Shine premiered on Nickelodeon and it got renewed for a fourth season of 20 episodes on May 24, 2017. 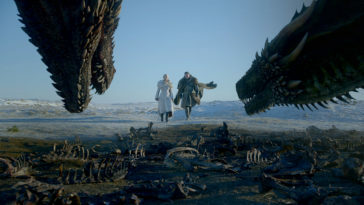 When it comes to the plot, the first season was set in the human world. It mostly focused on Leah who is young girl. 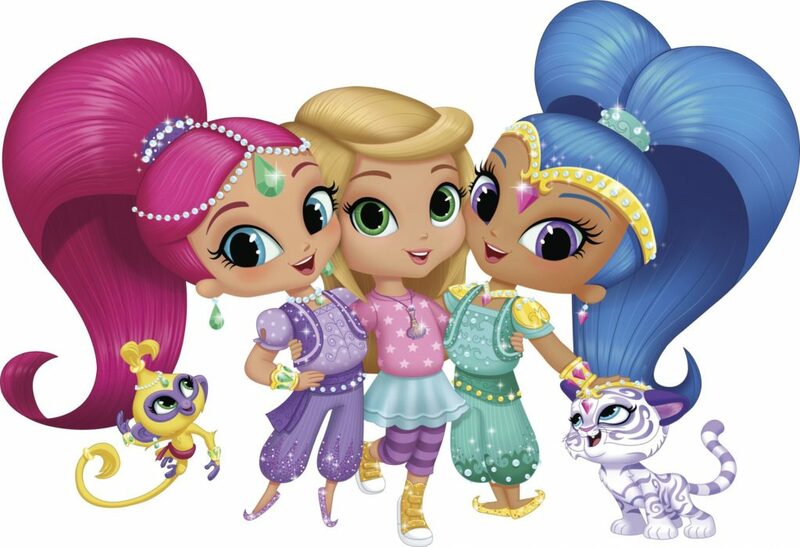 She is friends with a pair of twin genie sisters called Shimmer and Shine. Every day, the genies grant Leah three wishes, however they make mistakes very often. That is why in each episode Leah works together with these genies to help them resolve the problems they unintentionally cause. During all that time, they have to keep Shimmer and Shine a secret from Zac, who is her next door neighbor and best friend. In the second season, the characters get moved to a magical land called Zahramay Falls. That is a place where Shimmer and Shine live. 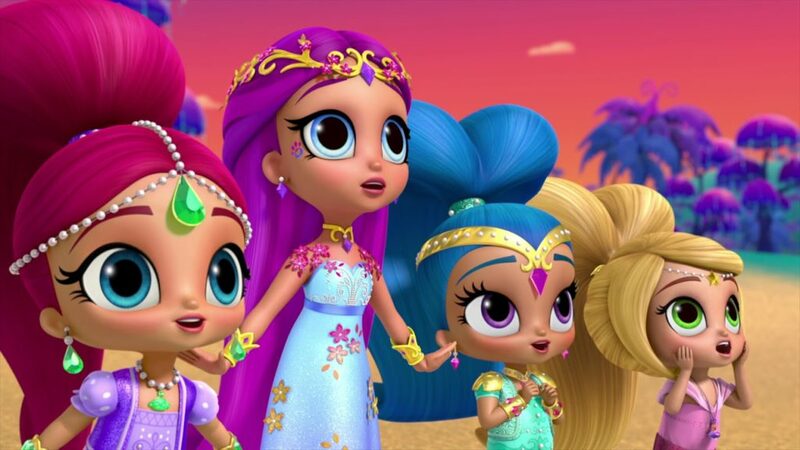 In this season, Leah reveals her Shimmer and Shine’s existence to Zac, and he even is given a genie of his own, called Kaz. 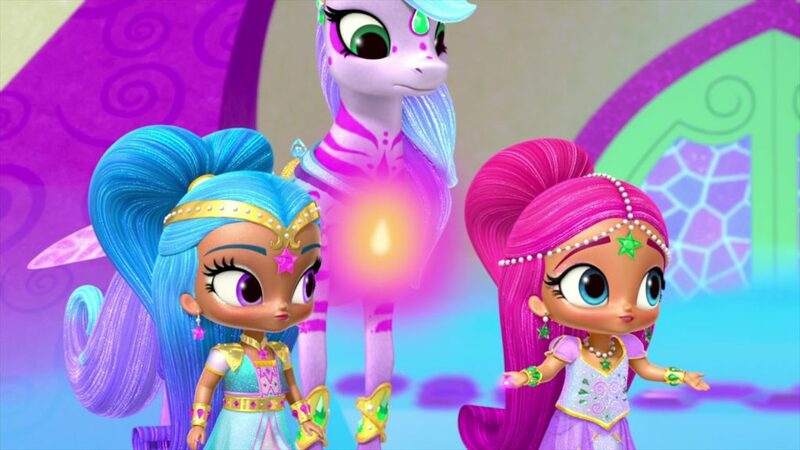 Shimmer and Shine still continue to grant Leah wishes in Zahramay Falls and they also befriend Princess Samira. 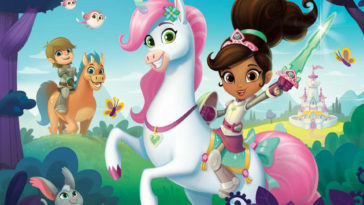 The season includes Samira’s pet peacock, Roya and Leah’s pet fox, Parisa, as well as Zeta who is a villainous sorceress, and her dragon, Nazboo. There is a big voice cast doing this show, so we are gonna mention only few of their names. Shimmer is voiced by Eva Bella, while Isabella Cramp voices Shine. Alina Foley voices Leah and Zac is voiced by Blake Bertrand in the first and second season, who got replaced by Justin Felbinger from the third season. 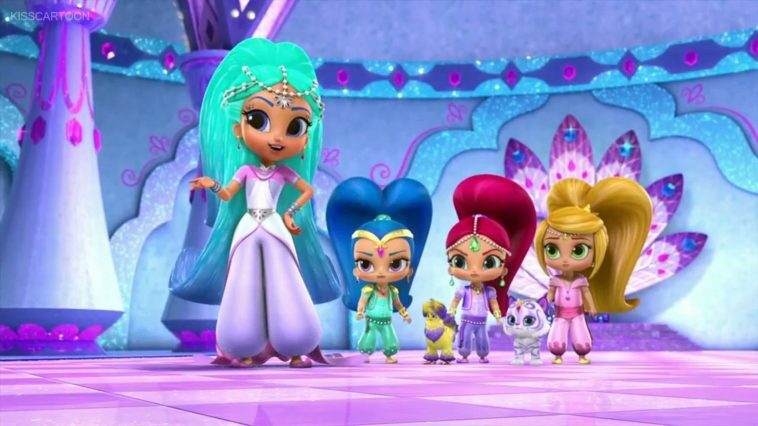 Princess Samira is voiced by Nikki SooHoo. Zeta the Sorceress is voiced by Lacey Chabert and Kaz is voiced by Jet Jurgensmeyer. 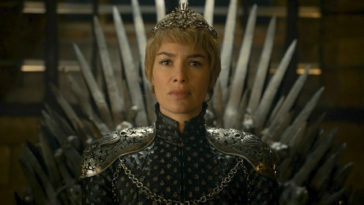 In 2016, the books that were based on this show were released. There is also a DVD that got released on 2nd of February in 2016, while the other one titled Welcome to Zahramay Falls got released in August that same year. There are also 3 more DVDs available. This is our major update labeled 3.0. We have put great effort to make this update, with user experience on mind. 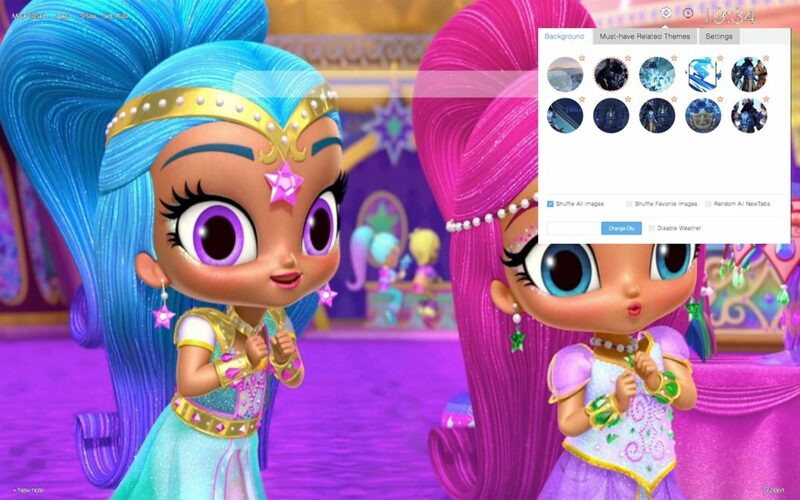 Shimmer and Shine is fast, secure and it will improve your browsing experience. There are no restrictions for ages, our extensions are available for all, for FREE. Check our site for even more extensions and themes or check Chrome Web Store and search for SupertabT hemes labeled extensions. Shimmer and Shine like all our other extensions are flexible and modular. There are tabs and modules that you can easily configure, show or hide within one simple Settings panel. Now, we have added Must-Have Related Themes, so you can find new and popular themes without leaving your tab! So, what features do you get? 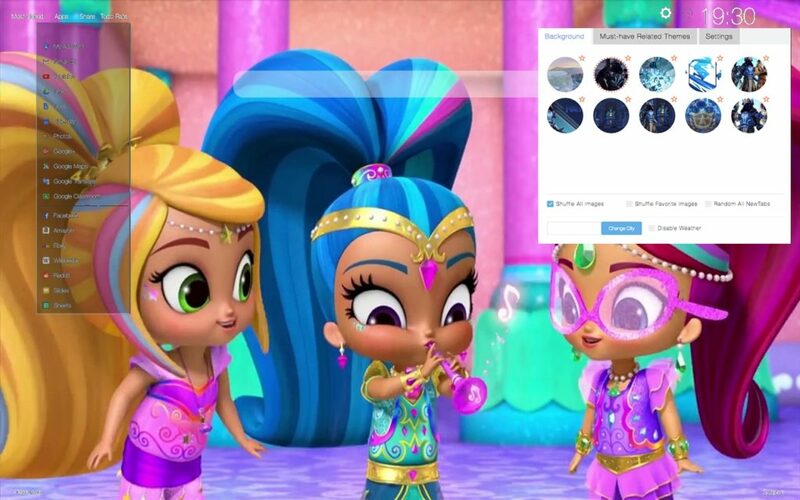 Shimmer and Shine is packed with high quality HD wallpapers, art and drawings from various places and authors, some are very popular. Background module is simple to use and intuitive: Click on “Star” on top of wallpaper thumbnail to make it Favorite. Pick few of them if you want. And that’s not all! Pick transitions between changes or pick time to change wallpaper automatically! To help you stay productive, we have added tabs in upper left part of screen. All of these tabs can be show or hidden from Settings panel. Stay up-to-date with all of your important things, set alarm and organize list. Also, this panel can be turned on or off from Settings panel. One of our new features is Notes app. It is fast, simple and very convenient for you to make quick reminders, directly on browser window. It is movable – simply click and drag on any part of screen. When you are done, you can delete them. You can hide or show Notes from Settings panel. Settings panel is now simple, easy to use and powerful with new options. From there, you can control look of your browser tab – hide all apps or pick one you choose. You can choose animations, slideshow, or set countdown for any topic you want. Bellow Settings and also in bottom right part of screen there is Support links for FAQ, New updates, Feedback page or Uninstall extensions. You can always drop us a line on our Contact page, if you have any wishes or you would like to see some new extension or wallpaper. We also encourage you to Rate our extension and leave us a Five-star rating on Chrome web store. To do so, click on Rate link on top left. Click on Chrome Setting menu (three dots) on right upper part of screen. Another way is to click on Support tab in right bottom and select “Uninstall”. We do not represent official app of any product. Our extensions are made by the fans, for the fans. Our extensions are FREE for use and we are not sponsored or endorsed by any of mentioned companies and their trademarks. Some part of our extensions may contain ads. Since wallpapers are founded around the web, please contact us if you own copyright and image will be removed. 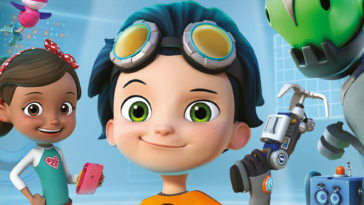 Rusty Rivets – Reasons to Start Watching This Cool Animated Series + Wallpapers! 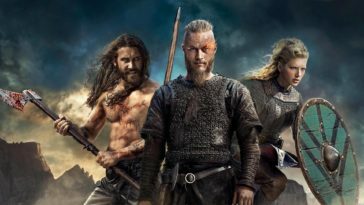 Vikings – Fun Facts and Wallpapers of the Popular Show!